iMazing 2 provides safe and fast migration to any iOS device. Transferring data from your old iPhone to your new iPhone XS, XS Max, or XR is easy and convenient thanks to iMazing’s step by step wizard. You can even pre-load apps in iMazing’s App Library, so they’re immediately available once the transfer is done – no need to wait for your favorite apps to download after restoring an iTunes or iCloud backup. iMazing is made by Mac lovers, for Mac lovers. It features polished support for Mojave’s gorgeous Dark Mode, and handles the new security features gracefully. On iOS, iMazing works perfectly with iOS 12. If you haven’t updated already, backing up first with iMazing is a great idea: if anything goes wrong, you’ll have all your data at hand. Oh, and of course you can also update to iOS 12 from iMazing itself - in that case, iMazing will perform a security backup for you, just in case. iMazing is constantly updated with new features, quite a few of them resulting from user feedback. Calendars, Safari data, and ringtones management were added in June this year. 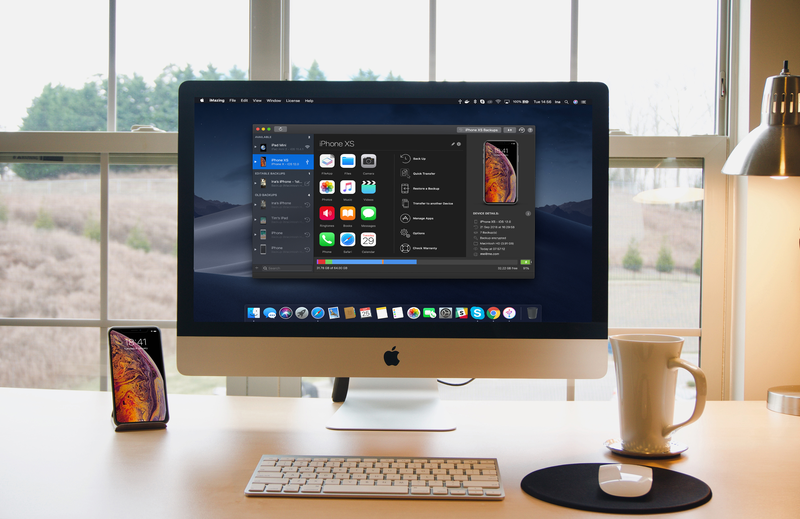 The latest update has Dark Mode and a new drop zone called ‘Quick Transfer’: drop anything from your desktop to iMazing, and iMazing will display compatible apps installed on your device. You just need to pick the one you want your photos, media, or documents to go to. Visit iMazing today to learn more and take advantage of a 30% off discount just for MacStories readers using the coupon code MACSTORIES30OFF2018. Our thanks to iMazing for sponsoring MacStories this week.